If there is a leak on your property, determining its location and making repairs quickly is the key to limiting damage. When time is of the essence, contact Metroplex Leak and Line Locators for fast & affordable plumbing leak detection in Rowlett, TX! Our team of highly trained plumbing & leak detection professionals at Metroplex Leak and Line Locators utilize the latest technology to pinpoint a leak at it’s location. Once we locate the line that is leaking we can advise you on all of your options for repair. Ensuring you get to understand all of the options available to you and allowing you to make the decision that is right for your property and budget. Having the skillset, tools, and training to professionally locate a leak means that repairs can be made promptly while minimizing the need to bust through slabs or cut into drywall during the leak detection phase. Metroplex Leak and Line Locators takes great pride in our reputation as one of the most skilled companies offering leak detection in Rowlett, TX. 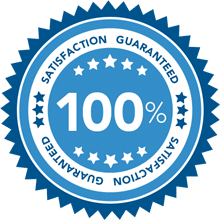 With nearly 3 full decades of plumbing and leak location services under our belts, we understand that customers choose us as their go to leak detection company because of our dedication to their satisfaction. We believe that a job done right, is the only way to do a job. We never cut corners or take shortcuts to rush through a repair. This is part of the reason why so many local plumbing companies refer challenging leak locations to us so often. We have earned an excellent reputation for the services we provide our customers—just check out our near-perfect reviews on Google as well as our A+ rating with the BBB. Don’t let a leak continue to damage your property—contact Metroplex Leak and Line Locators today to schedule a service appointment! How Long Does it Take to Find a Plumbing Leak? It wasn’t long ago that locating a water leak in a residential plumbing system was an all day affair. In some cases, with hard-to-locate pinhole leaks, the process could even take days! Thanks to advancements in technology and the proprietary method we’ve developed here at Metroplex for locating fresh water & sewer line leaks, the process now takes only 1-2 hours. Increased effeciency has lead to lower cost leak detection services, faster repairs, and more schedule availability. Meaning, we can locate your home’s plumbing leak, at an affordable rate, when it’s convenient for you. In short, prepare for 1-2 hours for most leaks to be located. The timeline for the repair will depend on the severity of the leak, it’s location, and the repair method that is used. Some plumbing leaks are easy to spot. Consider leaks above the slab foundation like toilets, showers, faucets, tubs, or appliances like washing machines. When a leak is present in any of these areas it is typically visible to the naked eye. It is not hidden in a pipe that is running inside a wall, underneath the slab foundation of a home, or a sewer line buried in the yard. When it comes to the pipes in your home that are hidden within the walls, under floors or buried in the yard it can be a much more difficult process to determine exactly where the leak is. The first and most imporant step however, is not locating the leak, rather it is confirming the presence of a leak. It is a good idea to schedule a leak detection in Rowlett if you notice any of the follow signs of a plumbing leak listed below. What are the common signs of a slab leak? A slab leak is a type of leak that develops in the pipes that are under the foundation of a home. Since these pipes are hidden, it is not possible to see the leak. However, there are several signs that indicate that your home has a slab leak that needs to be repaired. 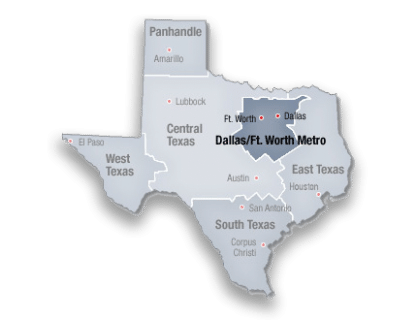 When you need slab leak detection in Rowlett, look no further than Metroplex Leak and Line Locators—give us a call at 214-388-4525! One of the first signs of a slab leak is a water bill that is much higher than normal. Other common signs of a slab leak include unusually high water bills, unexplained pools of water on the floor, damp carpeting, mold growth, and sounds of water running through pipes when all faucets and appliances are turned off. If you notice any of these signs of a slab leak in your home, call Metroplex Leak and Line Locators right away so we can send out one of our licensed plumbers to promptly detect the location of the leak and provide you with affordable slab leak repair options. After the location of a slab leak is accurately determined, the best thing to do is have the leak repaired as fast as possible. If you are in need of slab leak repair that is both quick and affordable, call Metroplex Leak and Line Locators at 214-388-4525 to schedule a service appointment. Unlike other companies, we don’t use the same cookie cutter process for every slab leak situation. We can provide you with options based on your budget and the severity of the leak! Give us a call today to receive an in-home estimate for your slab leak repair in Rowlett. Repairing a slab leak is one of the more complicated services a plumber offers. Since slab leaks are located in the pipes under the foundation, it can be difficult to access the problem area so the leaking pipe can be fixed. Two methods are used when repairing slab leaks—slab penetration and tunneling. When slab penetration is used, a hole in the floor and foundation is made using a jackhammer. This gives a plumber access to the pipe so the repair can be made fast. However, slab penetration can be messy, and the cost of fixing the foundation and floor need to be factored in to the cost. Tunneling involves digging a path under the foundation of a home so the leaking pipe can be reached. This method of slab leak repair is less invasive than slab penetration and if often used when there is more than one slab leak.